No matter where the drive takes you, confidence comes standard with our New Vehicle Warranty. It’s just another way we ensure your peace of mind. 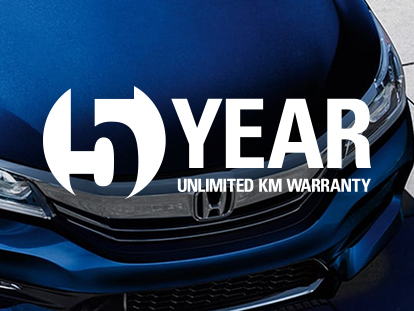 If 7-Year Unlimited KM Warranty & Premium Roadside Assist is applicable to your vehicle, you’ll have complete peace of mind with an extended warranty period and Honda Premium Roadside Assist.